Ramadan is coming to an end and so is my ramadan recipes series. 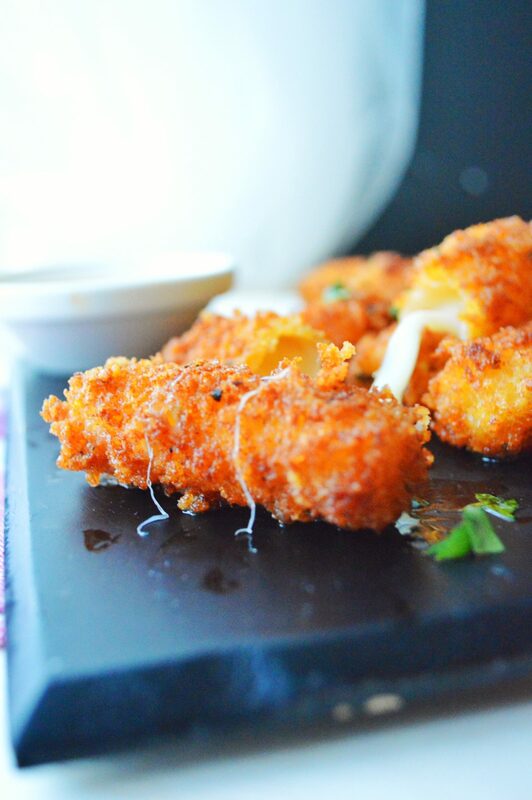 I am closing this series with my all-time favorite appetizer, mozzarella cheese sticks. 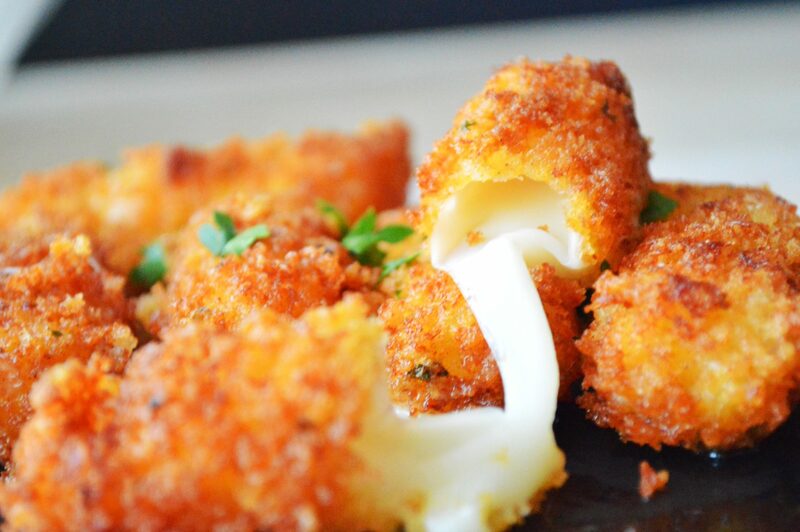 The cheesy gooey goodness inside a cruchy, crispy coating….whoaaa…irresistible! These are very simple to make and takes verrry less prepation time. I already had a seasoned flour mixture ready which was a left over from the blooming onion recipe. So i prepared these sticks in no time. I have used the japanese style panko breadcrumbs for this. If you haven’t used this before, let me warn you that you might become addicted to this stuff. You can use it in many different dishes, in place of the usual breadcrumbs and be prepared for that extraordinary crunch. Dip these sticks in a nice sauce, just any kind of sauce you like and enjoyyy! 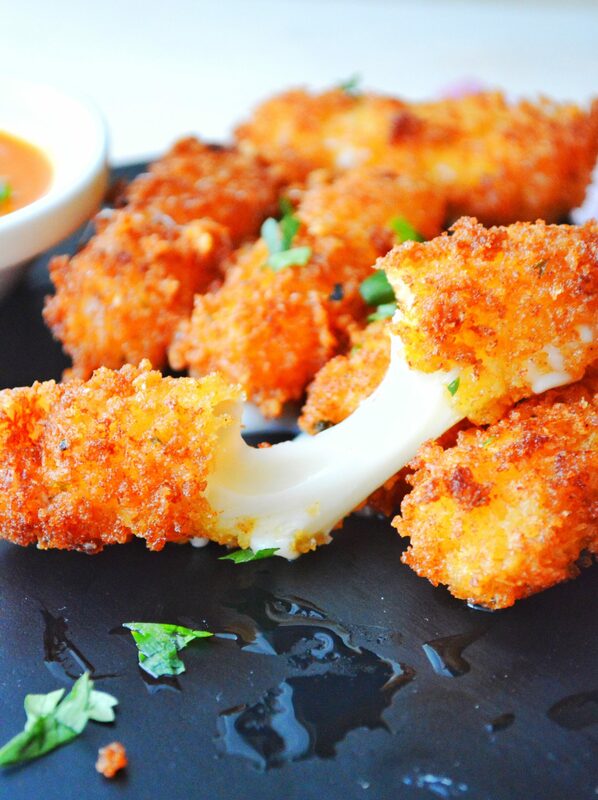 ✔️ If you cant get string cheese, just cut up the block mozzarella cheese into sticks and use. ✔️ You should be very careful when frying the cheese sticks as there is high chance that the cheese will melt and ooze out into the oil and create a mess. It only takes few minutes to fry them. Just when the breadcrumbs get that light golden color, take them out. Don’t keep in the oil for long. ✔️ The freezing step is important as this will help them stay together better and when its time to fry, it will keep the mozzarella from melting too quickly from the hot oil. ✔️ Fry these sticks in batches, do not overcrowd the oil. ✔️ Serve these warm or else the cheese won’t ooze out and will be hardened. ✔️ You can double dip the cheese in egg and breadcrumbs to make sure that the cheese stick will stay together. 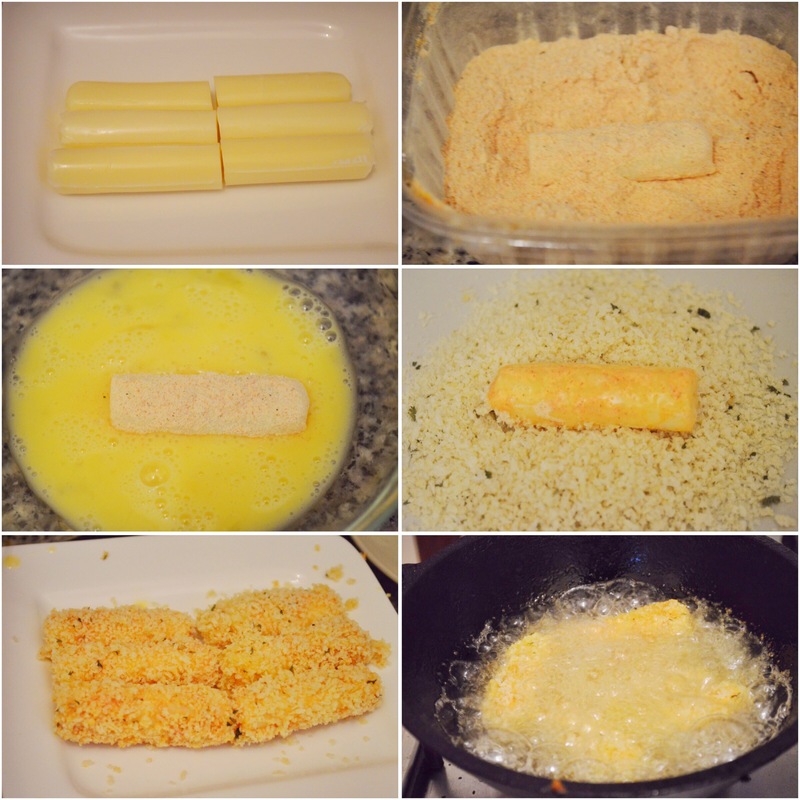 Unwraps cheese sticks from pack and cut them in half. In another bowl beat egg in milk and keep aside. In a third bowl, mix all the ingredients for breading. First dip the cheese sticks in flour, then egg and then finally breadcrumbs. Freeze these prepared sticks for 20-30 mins. Heat oil for deep frying on medium high flame. Deep fry and serve warm. 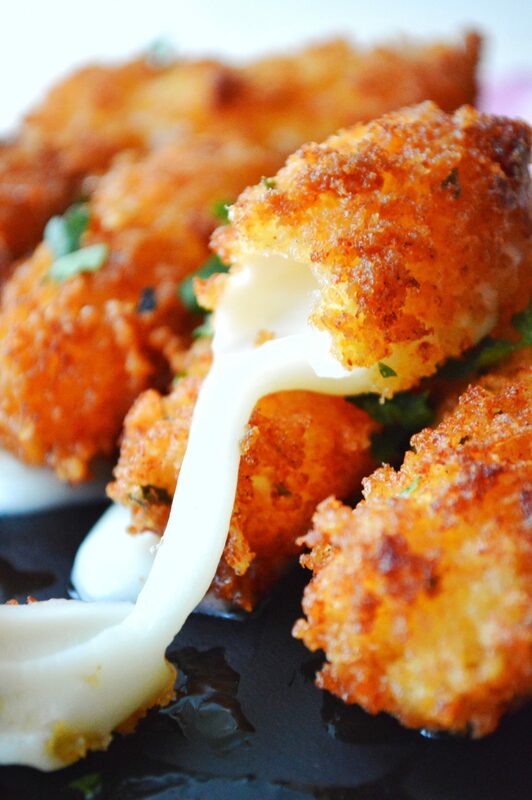 * If you cant get string cheese, just cut up the block mozzarella cheese into sticks and use. * You should be very careful when frying the cheese sticks as there is high chance that the cheese will melt and ooze out into the oil and create a mess. It only takes few minutes to fry them. Just when the breadcrumbs get that light golden color, take them out. Don’t keep in the oil for long. * The freezing step is important as this will help them stay together better and when its time to fry, it will keep the mozzarella from melting too quickly from the hot oil. * Fry these sticks in batches, do not overcrowd the oil. * Serve these warm or else the cheese won’t ooze out and will be hardened. 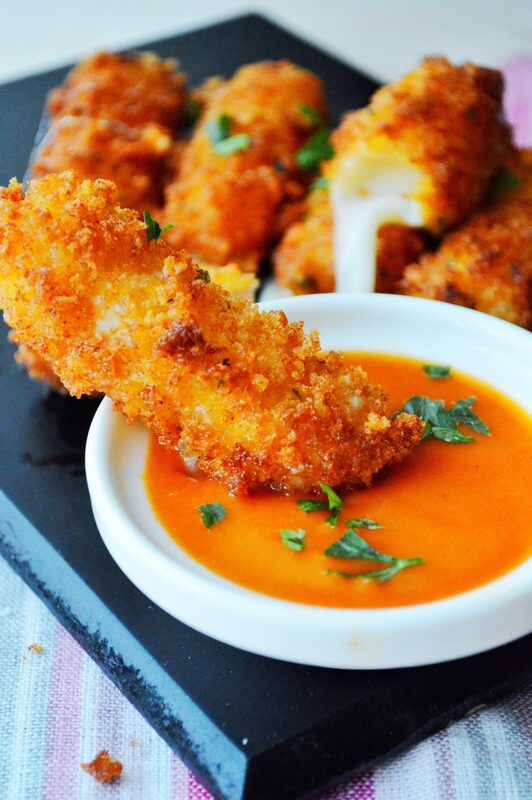 * You can double dip the cheese in egg and breadcrumbs to make sure that the cheese stick will stay together. Surely it goes well with sauce!!! Yum yum! Cant wait to try these out! These look wonderful! In college, mozzarella marinara was my weakness. Will definitely have to give this a try. I made some for iftar a few days ago too! 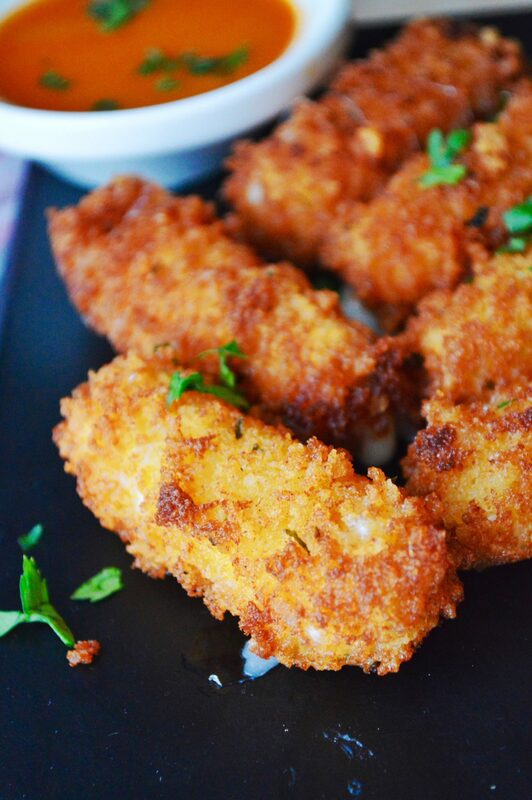 used regular mozzarella and double dipped them in breading, they were really good. just looking at these pictures is making me want to make more!